Provide an up-to-date overview of the different stops, lines, capacity, arrival times, upcoming shuttles, etc. through timetables. Send notifications in case of delays or cancellations. Offer the possibility to reschedule a ride in case of unforeseen circumstances. Give users a clear digital overview of the available shuttle lines, together with its departure and arrival times. Allow your passengers the flexibility to quickly adapt their journey and hop on the shuttle of their choice. Specify the outward and return time tables per line and set your own pricing strategy. Track your shuttles through our algorithm and get notified in case of delays, breakdowns or other issues. Send your customers automatic notifications when their shuttle is about to arrive or won’t show up on time. A warned user is worth two! Don’t leave your users in the dark in case of major delays or cancellation of your shuttle. 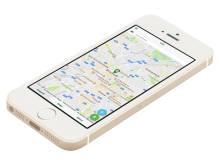 Bring them quickly up-to-date through notifications or give them tips for alternative travel ways to get to their destination. Bring your shuttle service to the next level with data-driven decision making. 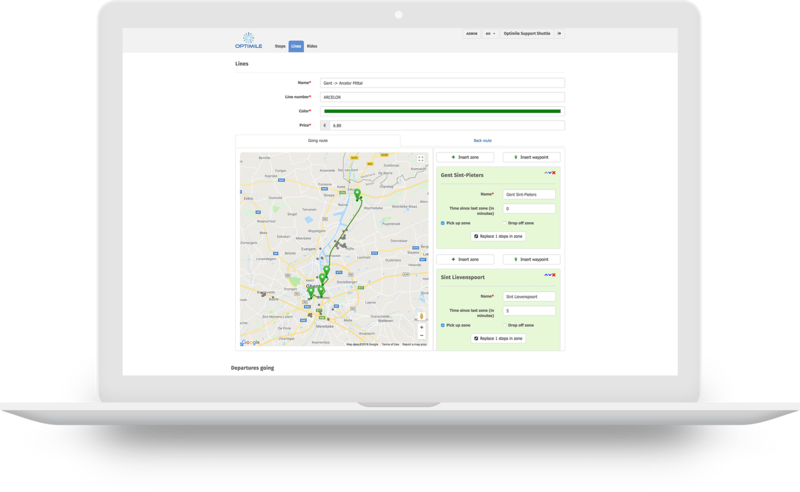 Track your shuttles and get insights on the punctuality of your services: when a shuttle is entering or leaving a zone, the arrival times at the different stops, where possible delays may occur, etc. Based on these data our algorithm can suggest an alternative route to reduce travel time.